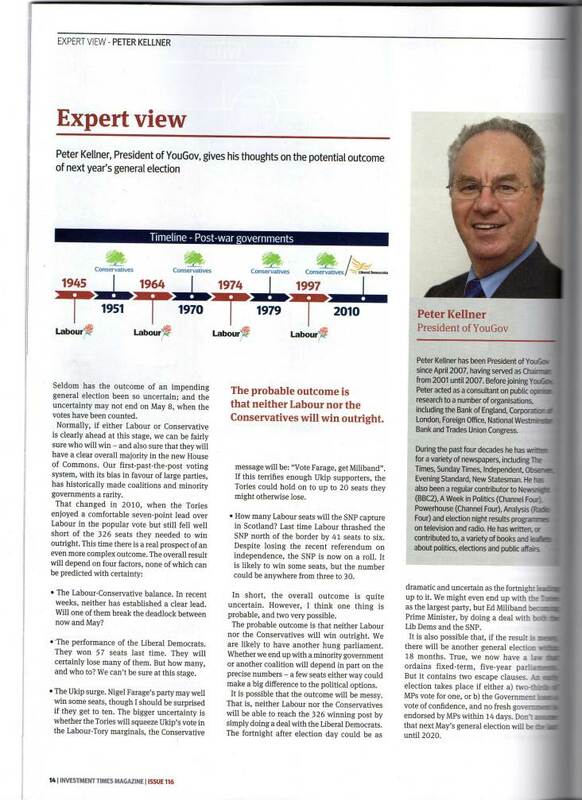 Peter Kellner, President of YouGov, has written a very interesting piece in this months Investment Times (a free magazine published and circulated to members of financial services company Hargreaves Lansdown) giving his thoughts on the potential outcome of next year’s general election. While not providing any groundbreaking or new thoughts on the possibilities, his article does set out the likely outcomes in an easy to read and short article. The article is also linked here in PDF format, for an easier read.